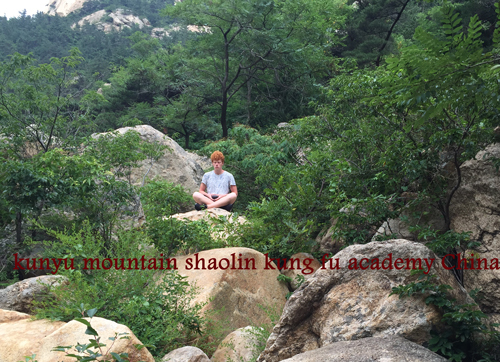 ﻿ I achieved Mental growth and peace in Kunyu mountain shaolin academy. I have always wanted to visit China. Furthermore, I have always loved martial arts, so I combined the two. I achieved Mental growth and peace in Kunyu mountain shaolin academy. Everyone influenced me a lot, but by far the most is Gaoshifu and second, Bo, another student of masters Gao. My sparing against Bo was very inspirational for me. Yantai city and Muping are fun, but you might get bored of it. The surroundings of the school are beautiful. People will never get bored of the mountains and lakes. 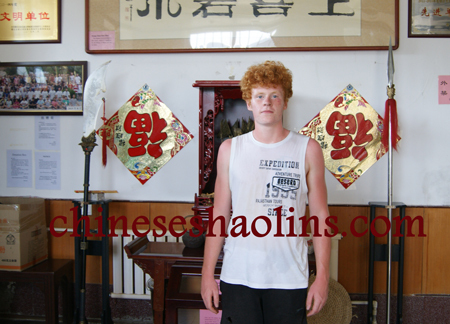 Tom spent four month training Traditional shaolin kung fu here.